India with its unbroken civilisation since times unknown has no parallel in the world. The Veda is the most ancient knowledge of the Creation and the Evolution of souls, which is handed down to the mortals by the ancient sages of this land. The purpose and the ultimate goal of life are well defined and various paths have been suggested in the Veda for the benefit of humankind. Therefore, our ancient civilisation reflects a fine blend of materialism and spiritualism in proper proportions so that a man can enjoy this life with peace and prosperity based on eternal principles of Dharma and lead himself to his destined goal i.e. Liberation. Here, the Knowledge of the creation already exists with the creation and that could be realised by a serious pursuant. Thus Indian culture which has evolved through the ages has a strong foundation in the Veda and the values acceptable to all times and all men without any distinction. Though India has diverse geographical conditions blooming a rich variety of material cultures with different stages of development, the purpose of life and values of living molded Indian mind which projected a strong bond of unity. Thus ancient Indian culture strove to unite people appreciating various shades of material cultures within its broad framework. These small or ‘little’ traditions or strands are interwoven into the main stream as many tributaries join to make a great river, which finally flows into the ocean. In sharp contrast to the Indian situation, the ancient Greek philosophers peeped into the future and tried to visualize ideal political institutions in the absence of any knowledge base for their imaginations. Even after two millennia, none of them have been realised in any part of the world. The concept of Universalism, which the Europeans have stretched too long through a religion, the Christianity, broke the Christendom into two halves, East and West from its very initiation. Later, Europe broke into warring fragments of politico-religious sections which styled themselves as nation states at the end of the medieval period. Religion, which makes people believe in a single path rejecting a second, divides people. Such religion disregards the individual’s freedom to choose a path of his like. The coming of Islam resulted in religious wars between the West Asia and East Europe finally resulting in the fall of the Eastern Christendom. It’s heavy fallout on the Western Europe, as is generally known as the Renaissance, broke Western Christendom into pieces. However, Islam could not make inroads into the Western Europe forming its own religious states barring one feeble attempt in Portugal. The Christianity and Islam, both, are single path religions. Therefore one could not tolerate or accommodate the other. However, Catholicism fell due to internal combustion as a result of Reformation and Counter -Reformation Movements. The Muslim incursions into India were not so devastating as in other parts of the world because Indian culture with its strong base of tolerance and liberal character could withstand the rude shocks. 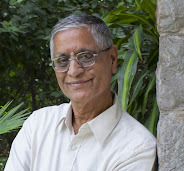 By then, Indian culture had already produced many a religious thought and developed a number of philosophical schools based on various understandings of the working of Creation. Indian polities from ancient times were guided by the universal principles of Dharma, which are commonly acceptable to all religious or philosophical schools. We did not know religious states or theocratic states in ancient India. When the religious turmoil in the wake of Muslim incursions had settled down for once, Islam remained in India as one another path recognized and tolerated by the main stream, which is now generally known as the Hindu. During the medieval period, these two diverse states, one Islamic, a religious state, and the other, the Hindu, a state avowed to Dharma, coexisted. Both retained their identities. Only the modern European concepts of nationalism and liberal democracy divided the country. The dawn of modern period in Europe pushed forward the principles of reason and humanism. Reason severely attacked the faith. Humanism led to exploitation of nature for the only benefit of the humankind. Empiricism ruled the roost disregarding all the time tested traditions. Nationalism, Liberalism, Socialism, Fascism, Totalitarianism, Communism, so on and so forth, rose like new religions in Europe each one making tall or exclusive claims of relevance and totally rejecting the others. These political religions divided the people into rival and warring sections. These new religions stood on the economic premise and propound economic solutions to all problems of man. Further these new religious prophets, unlike the ancient Greeks who looked into future, turned to the past. To suit to their political philosophies, each one of them romanticized the past with their wild guess. Since each one of them was interested to build an empire out of his romantic idea, various theories of the origin of state were proposed without any concrete evidence. The economic basis on which the new political systems are evolved has led to Colonialism and Imperialism resulting in the two devastating World Wars. The Cold War, that followed, divided the world into mutually suspecting blocks and thus, all the modern political systems proved to be defective. In a way, Postmodernism attempts to destroy all these modern edifices which are supposed to have been built with imaginary pack of cards. But one major problem with it is that it also rejects all those theories, which are practised and time tested. This new phenomenon creates chaos and further cleavages in the society promoting divisive tendencies like casteism, minority issues etc. Postmodernism dismisses any common understanding or generalisations. With this, what modern historiography has tried to reconstruct our past proposing various generalizations and theories will be rejected as mere fiction and so also our ancient knowledge bank. Thus Postmodernism goes to the other extreme of modernism. Now the present world is caught between these two mutually conflicting and contradicting schools of thought. Secondly, Globalisation is another phenomenon, which tries to influence every walk of life everywhere on the globe. Particularly, on the cultural side, it is trying to push the world into a uniform pattern not only in respect of what we wear or eat or drink but also in the matters of art, music and dance. The evil effects on the national economy will be far insignificant when compared to the damage done to the cultures in the world due to the impact of Globalisation. Perhaps, it is time to think and act taking clues from the ancient Indian culture, which was based on sound knowledge and experience for a better world order.